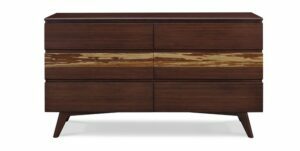 Expertly crafted in solid bamboo, the Cypress bedroom collection features contemporary styling, clean lines and beautifully rounded edges. 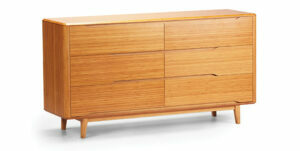 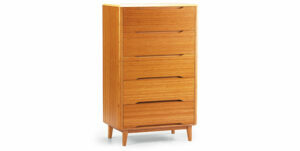 All Greenington chests are fully assembled, and beautifully finished on all four sides. 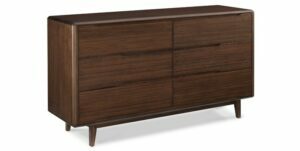 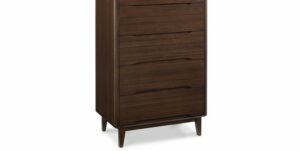 Each drawer box is constructed in solid bamboo using English dovetail joinery and feature recessed pulls, hidden under mount drawer glides, and soft closing drawers. 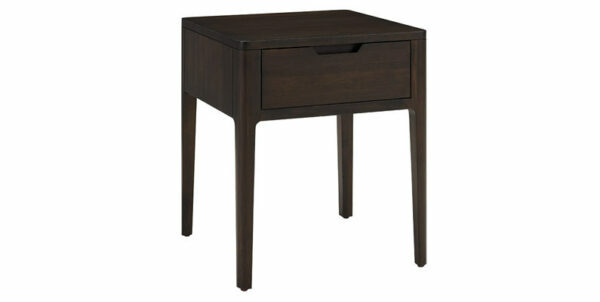 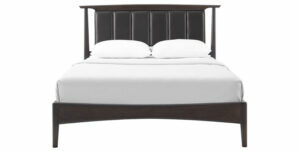 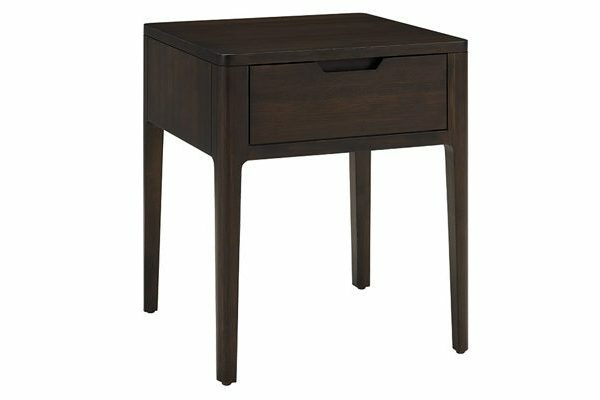 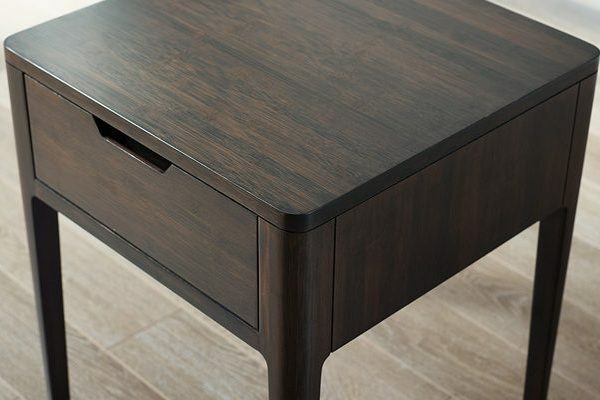 The Cypress nightstand includes one storage drawer and is available in classic Havana finish. 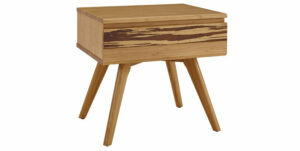 Greenington combines beautiful design, rich colors and a winning sustainability story.